Last year I wrote a sort of poem for our Christmas card. The poem itself was not so great, but it was actually an experiment in mimesis (something I’m still planning on writing more about). Somehow, I ended up writing a poem again for this year’s Christmas card and, like last year, this year’s poem was a bit of an experiment. In this poem I’m trying to blend the influences of the Gospel of Luke, the Gospel of John, Caravaggio, and Hebrew poetry. Maybe you can find traces of each. Finding Luke and John is pretty easy–I’ll leave that to you. Caravaggio is a little harder but there are some clues in the text and it might help to read more about him on Wikipedia. Finding the influence of Hebrew poetry is probably most difficult, even if you know how Hebrew poetry works. Thanks for the comment. 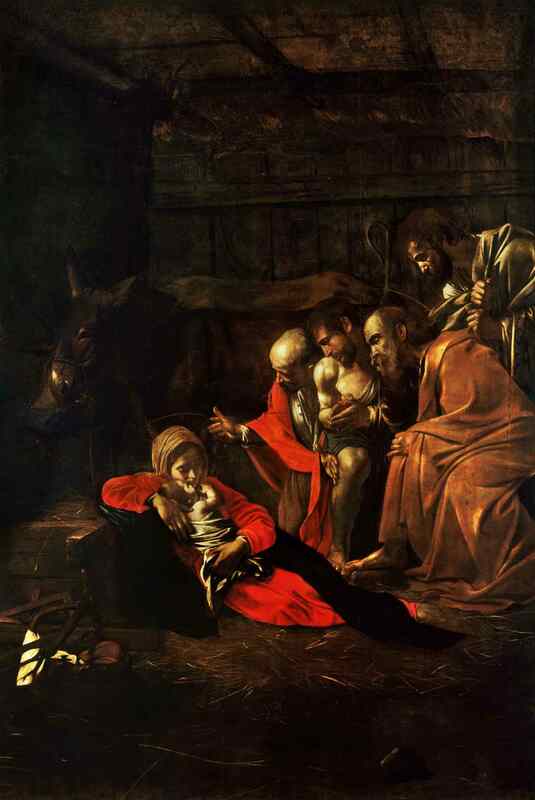 I know almost nothing about art but as I was looking for illustrations to accompany my posts I found that I was often selecting works by Caravaggio. Then I started learning a little more about him and he’s almost become “the official artist” of our website. Thanks for the tip on the book. I’ll have to see if I can get my hands on that. I’ll give you a hint on Hebrew “poetry.” Hebrew literature (and other ancient literature) often uses parallelism to create the structure of a text. The classic example is the chiasm, where a text is arranged in the pattern of A-B-C-C’-B’-A’. In that pattern, A is in some way parallel to A’, B to B’, C to C’. The structure is not just fun to discover, it actually illuminates the meaning of the text and is a great way for the author to increase the liklihood that his or her meaning is brought through to the reader.